Tonight you have won. Tonight while your pocket is lined with cash from the flesh in which you sold, my heart is broken beyond measure. Tonight I feel totally defeated and my sadness is overwhelming. Tonight breeder, I held the beautiful head of the adult male Dane who came from your litter. Do you remember him? He was the most precious, little black puppy, with giant liquid brown eyes. I cannot tell you if he would have been a massive and well structured Dane though I held him tonight. You see, I could not tell you because he weighed 56 lbs and his body was crippled. 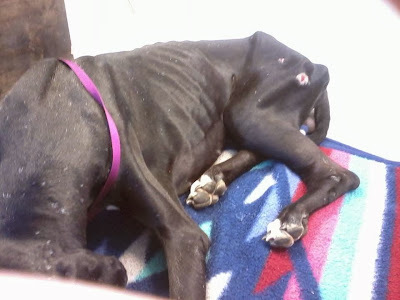 I could not tell you if his coat was beautiful and shiny because he was covered in scars, wounds and broken bones. I cannot tell you if he would have loved children as he will never be able to play with them again. Tonight breeder, what I can tell you? I can say you bred a boy who was so sweet. As I lay in the floor with him tonight with his head cuddled to my chest, he snuggled me. He licked my face despite his fear. He moved closer to me when I stopped petting, letting me know he enjoyed it and wanted more. I can say that he is a boy who I would have brought home and loved until his last days had I been given the privilege. I can say I loved him without ever knowing who he could have been, but simply loved him for exactly what he was. You see, someone stripped his joy and his innocence. Maybe the first person you sold him to, I couldn't say? Someone damaged his trust. And he was sold yet again to the next person down the line who would not even search for him when he was missing. Backyard breeder.......Your boy was hit by a car on the interstate. Can you imagine the pain he was in? He was left to die in a wooded area like someone's trash. 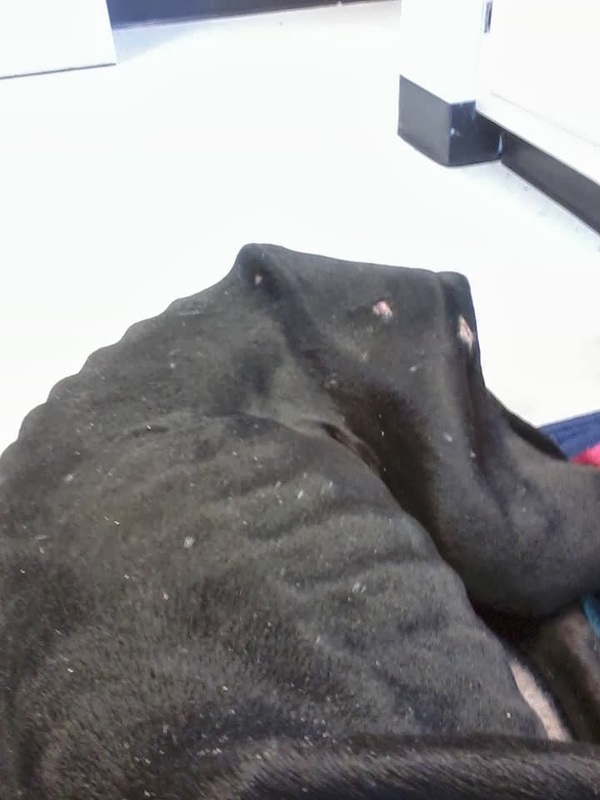 He was alone, frightened, and dying without you breeder. He was your trash, wasn't he? Though I may have lost tonight breeder.....your boy did not. He had dinner of cheeseburgers and was held as he had never been before. He had a warm bed. People who were so kind to him. He had love tonight. He was given dignity, honor and knew beyond a shadow of a doubt he was safe for what was probably the first time in his life. And we must not forget his harem of beautiful hearts who took their time to find him and give everything to saving him. Backyard breeders, feel good. My tears spilled onto your boy as I made him my own tonight. 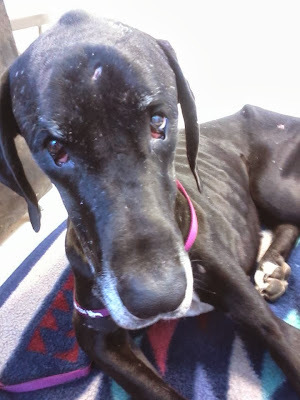 You see it was I, the rescuer who loved your Dane until his last breath spilled onto my arms. It was I who whispered the joys of the Bridge into his ears and prayed the journey he was taking was the most beautiful thing he had ever known. Feel good breeder, as I took part of that journey with him. He took with him a piece of my heart in which I will never retrieve. Breeder, you have given me my own scars.......feel good you have done your damage to me, the rescuer. Though you may outnumber my kind, backyard breeder, you will never measure up to my heart. You will never know the pain of feeling the love slip out of your arms with its last breath. You will never know what it means to have a dog melt into you, with all the trust in which it holds. And one day, when I see you backyard breeder, showing up when I do at the Bridge, it will be me that your dog follows over the Bridge. It is you who won't have the company of that journey. The company of man's best friend and a woman's greatest love will go with me......the rescuer who loved them with every piece of herself. And watch out for my stampede, because you simply made it possible for me to be on Earth loving yet another of our beautiful messes. All was not lost breeder......as I learned once more tonight. Once more I learned my love and my heart was stronger than yours. Please pray tonight for Julian........he was loved. Run free at the Rainbow Bridge. Free of your scars, free of your pain and free of your fear.